Ladies, it’s cool to share with friends your secrets, clothes, and gossip, but keep your make-up to yourself. Sharing, and exchanging makeup is like openly sharing and exchanging germs, viruses, and diseases. When sharing eyeliner, you run the risk of catching common eye diseases. I’m sure every one has heard of “pink eye,” but its medical term is conjunctivitis. It is a bacteria as well as a virus and is highly contagious. Conjunctivitis can be spread by direct contact with an infected area or contact with an object that has touched the infected area, according to Humanillness.com. It is very common for a girl to visit a makeup store such as Mac or Sephora and try on the testers. 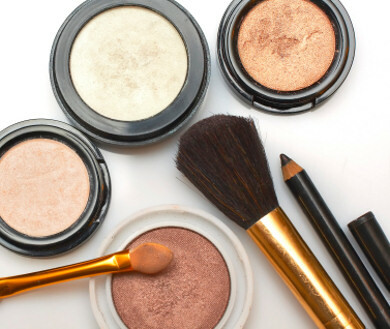 For prom, girls go to different make-up companies to get a make-overs. According to livestrong.com, one study found bacteria such as MRSA (staph), strep (strep throat), and E. Coli in department store testers. Viruses and bacteria live in warm damp places. So make-up boxes, foundation containers, and lip gloss containers fit the requirements perfectly. Lets say a close friend of yours recently got a minor paper cut on her index finger. She asks to use your lip gloss and you agree. You, trying to use a little precaution, squirt out some of the gloss onto her finger tip so she does not directly put her lips on the applicator. Little do you know, the same finger she used to scrape the gloss off the applicator is the same finger she had the cut on. When you let a friend borrow your favorite lip-gloss or lipstick, you should definitely think twice. Herpes can be spread through the sharing of lip wear, according Dr. Elizabeth Brooks, a biological sciences professor at Jefferson Medical College in Philadelphia. Most of the time the disease shows no outer signs, making it hard to tell who has herpes, and who does not. Unfortunately Herpes is something that a person can never get rid of, according to herpesdoctor.com. Mononucleosis can also be spread by sharing lip gloss or lipstick, according to Dr. Brooks. Sore throat, rashes, fevers, and muscle aches are only a few symptoms of the virus. The most commonly asked make-up question between girl friends is “Do you have any eye-liner or lip gloss i can borrow?” Your answer should be NO! Remember personal items are PERSONAL for a reason. Photo Illustration by Jacqueline Wills '10 and Thomas Ingle '10, Photo Editor and Staff Writer / Images from Nintendo Co.
Technology has taken yet another step towards our wildest dreams with Nintendo’s recent release of the Wii Fit, a video game that helps players lose weight. Could this take the place of the hard work and exercise that many Americans have grown to hate? Upon arrival there were many disbelievers, but those that have experienced the Wii Fit say otherwise. “It’s really fun and addictive but its a workout!” said Kirsten Lawrence ’11. 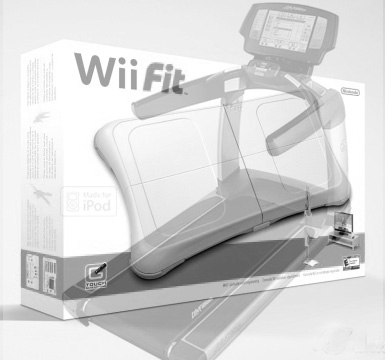 Wii Fit features body analysis programs that keep track of a player’s heart rate, calories burned, and energy exposure. In fact, sports medicine professionals at the University of Maryland are testing to see if this new gaming technology could provide alternative methods of rehabilitation. They have discovered that this gaming device could serve as an inexpensive aide for their athletes as its strength exercises provide a full body workout. The Wii may not be a very good training tool if you are planning to run a marathon, but it may be ideal for nursing a minor injury, recreation, or to simply get an extra workout. Players create a character, called a Mii, and then stand on a board that weighs them, helps them balance, and monitors their performance during a game. Then, they do different exercises that tells them how old they are compared to their actual age, based on how well they performed. So if you’re 16 but out of shape, you might be told you’re 80 years old. Based on your health, it helps you find exercises to improve your score. The majority of the people interviewed did not know about the Wii Fit or care for it, because of other video game devices that they already have. Will the Wii Fit be as successful in the teens perspective? As of now it is up in the air, but with advances within the gaming industry to come, it’s highly debatable when teens will give up their remotes to get into shape.